An IRS tax audit is something that absolutely no one wants to deal with. Not only can audits be stressful and time-consuming, but in addition, you may have to pay additional taxes and potentially even face penalties. In this article, we’ll cover the IRS audit process, giving you all the information you need to know. Why does the IRS audit people? How does the IRS notify you of an audit? What information does the IRS want during an audit? How long does the process take? We’ll answer these questions and more below. There are a few different reasons why the IRS selects people for audits. One way is through computer software that uses a statistical formula to compare your tax return with the averages of similar tax returns. Making math mistakes, not reporting all income, or claiming deductions that aren’t deserved are all things that can lead to an audit. Another way the IRS selects for audits is by someone being associated (through transactions) with another taxpayers who has been selected for an audit. If your tax return is selected, an IRS auditor reviews your tax documents before deciding to accept it or continue on with the audit process. The IRS will never call or email you about to notify you that you’ve been selected for an audit. Instead, you’ll receive an IRS tax notice by mail which includes contact information as well as instructions. The IRS does audits by both mail (mail audit), through in-person interviews which could take place at an IRS office (office audit), or at a taxpayer’s place of business (field audit). These three are the most common types of audits. It is possible to request an in-person audit if the documents that the IRS requests are too many to mail. There are a variety of different tax documents that the IRS can request during an audit. These include bills, receipts, canceled checks, legal papers, loan agreements, theft or loss documents, and employment documents. This is why ensuring that your books are up to date and kept meticulously are extremely important. In the case that an audit was to occur, all the documents should be on hand and ready to go. The IRS can audit returns that were filed in the last three years, although in situations where more substantial errors have been identified, they can go back additional years. Most commonly, however, audits are conducted for returns filed in the last two years. Generally speaking, most audits take less than a year to complete. Mail audits are typically the fastest (three to six months) while field audits can last up to a year. The length of an audit is based upon a multitude of different factors which include the complexity of the issues, the type of audit, the type of information that has been requested, as well as your response to the audit report. There are three ways an audit can end. In the first scenario, your items are reviewed and there are no resulting changes. The second way an audit can end is if the IRS proposes changes, and you accept those changes. If you owe money, there are various payment options that are available. Lastly, the third way is if the IRS proposes changes, but you don’t agree with those changes. If you don’t agree, you can schedule a conference with an IRS manager, as well as file an appeal if enough time is left on the statute of limitations. 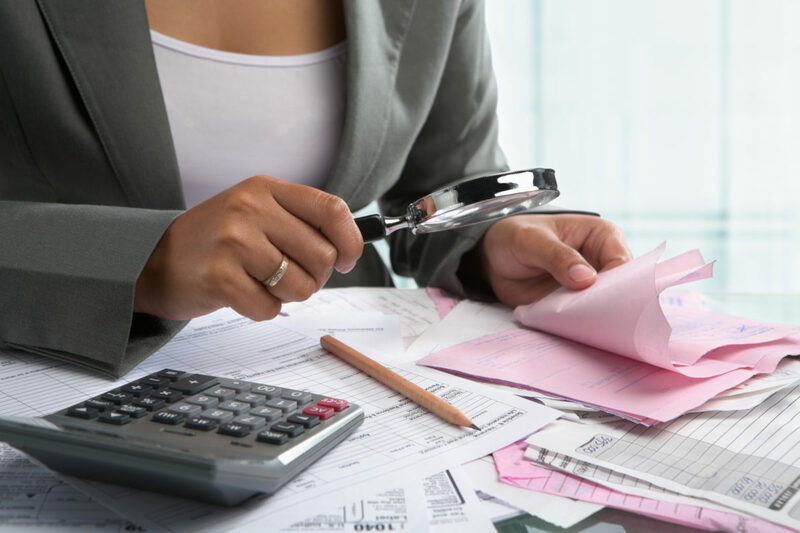 In this article, we’ve covered some of the most common questions people have about IRS audits. There’s no doubt that there’s a lot more to audits then what we’ve outlined here, some of which can become extremely confusing. We always suggest consulting with an experienced tax team that you can rely on to guide you through the audit process and represent you during an audit to ensure you get the best possible outcome. At IRS Audit Group, we have over 15 years of experience in dealing with the IRS specifically dealing with IRS and state audits. Call us today at 1-888-300-6670 for a free consultation and more information about how we could help you.